Colonies House has been serving San Antonio, Colonies North and surrounding communities since 1966. We are a neighborhood club that offers a Banquet Hall, Tennis and Swimming facilities. Members and families can enjoy swimming, tennis, special parties and other events. They can also raise their health to the next level by participating in our swim team and upcoming tennis leagues / lessons. Our Banquet Hall is spacious – serving up to 200 guests at one time. 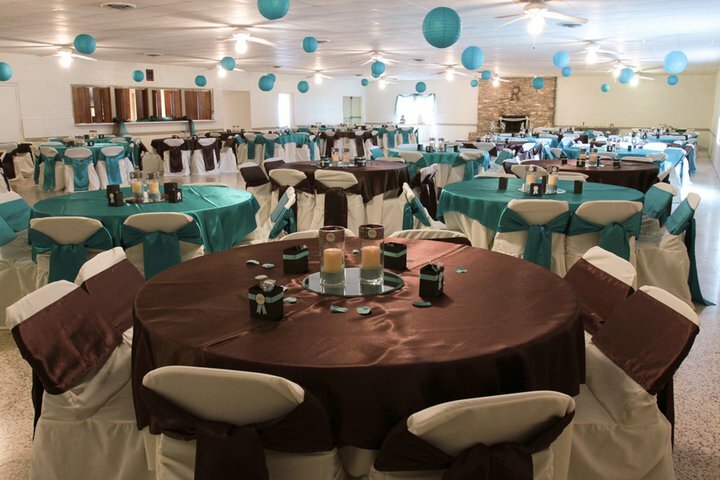 This large, clean facility is available for parties, meetings, weddings & receptions, quinceañeras and other gatherings. It features a separate bar facility, a performance stage, a large dance-floor, a complete commercial size kitchen with three large food service windows. It is also the place where we conduct our meetings and hold special events for our members. We provide numerous activities throughout the year from camping to volleyball tournaments. Parking-lot, tailgate parties and other fun events also provide a way to improve our community’s security. The more we know each other, the better we can help each other. We remain flexible and open to new ideas for activities and classes that will help us continue to improve Colonies House and better serve OUR neighborhood. Your support is critical and directly benefits you and your family beyond our facilities.